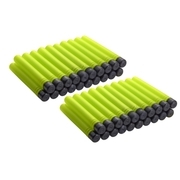 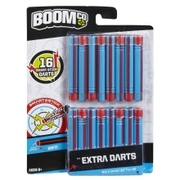 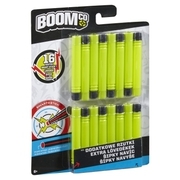 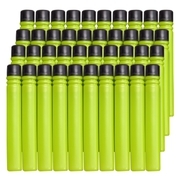 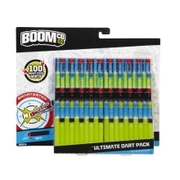 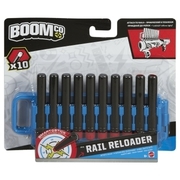 BOOMco.™ 40 Dart Pack (Green with Black Tip)Dart Toys & Blasters - Awesome Blasting Gear & Toys for Boys - BOOMco. 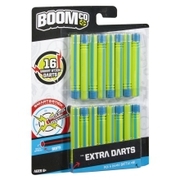 BOOMco.™ products feature Smart Stick™ technology, an awesome material that's on the tip of every dart and in every round, that sticks to BOOMco.™ targets and blaster shields—so you see exactly where you nailed it! 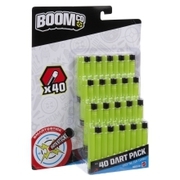 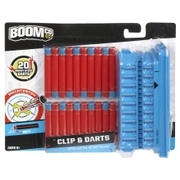 With this 40 Smart Stick™ dart pack at your fingertips, it's easy to reload and keep the blaster play going and going! 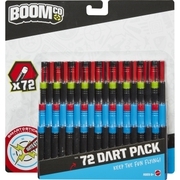 Ready, aim and blast away!